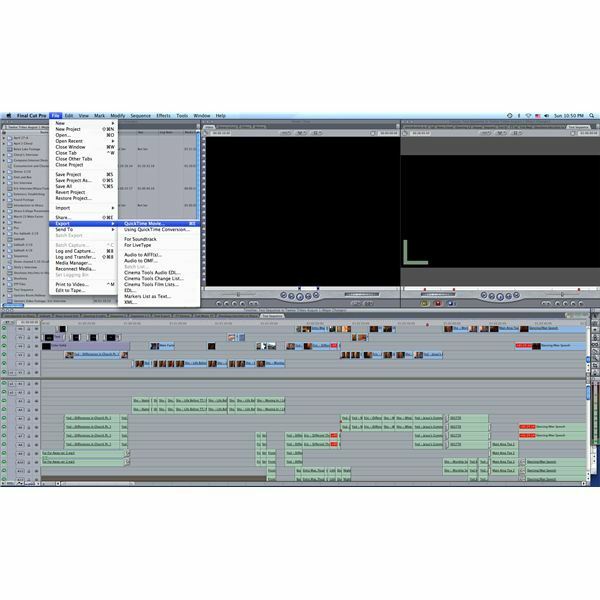 The QuickTime movie format is one of the primary digital formats that are used to view videos that have come through the post-production process. If you are uploading to streaming web services like Vimeo or YouTube, sharing a complete video, or using an uncompressed video file for later edit or compression the QuickTime format is going to be one of the primary types you are going to focus in on. QuickTime, as an Apple favorite, is also an easy export option from Final Cut Pro and may actually end up being the quickest way that you can export from a Final Cut Pro to a free standing movie file. Here is a tutorial on how to export to QuickTime formats from your Final Cut Pro digital video editing project. 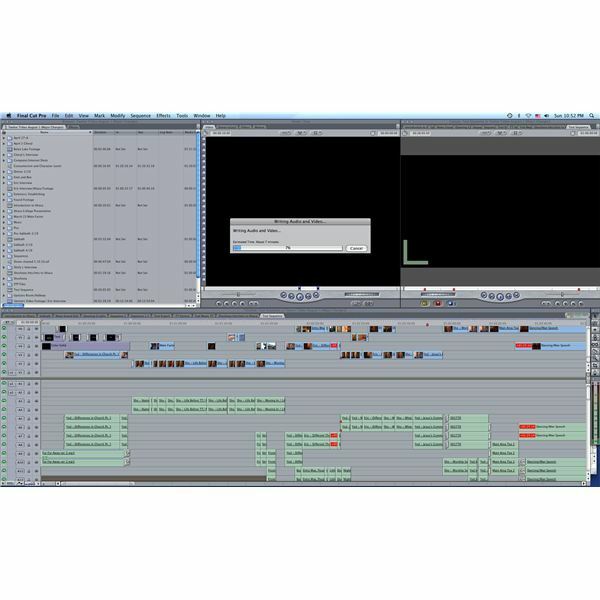 When you are working in your final sequence, which means the sequence that represents the cut of the movie you want to export, you are going to make sure that the Final Cut Pro Timeline is selected and then you will go to File. You will go down to Export, which is right under Share and above Send To, and you will select QuickTime Movie, which is the very first option. You can also use the Final Cut Pro keyboard shortcut for this export process, which is Command and E. You will be given a window where you need to name the file, select the location for the QuickTime file to go to, what format it is in (though QuickTime is the default), and to make sure that Default Settings are indicated next to Use. Audio and Video" and will give you an estimated time of completion. This may take some time, but it will usually be far less than if you were to use Send to Compressor. Once it has finished this it will just close that previous menu and you will have a free standing QuickTime movie file saved to your specified location. This QuickTime file will usually be a very large file, possibly one of the largest formats you could export from Final Cut Pro. In this way it is great for viewing on a computer as an individual file, but will probably be too large for streaming video services, DVD authoring, or most transfer mechanisms. You will find that if you just double click your QuickTime file after a regular Export to QuickTime that it will open in Final Cut Pro, which is because it is the native source of your master of the video in the sequence. If you want to watch it without this you need to right click it and have it open in QuickTime, or open QuickTime and then open the file into it.